Five sisters. One mission: Learn how one woman’s legacy continues through the work of her five daughters with an army of volunteers to make breast cancer more comfortable for patients and less prevalent on the planet. A 100% volunteer organization, we work hard and most importantly, play hard with one goal in mind: Saving lives, one breast at a time. Breast Cancer education? Support services during treatment? Patient care? Done! We contribute to all of that and we keep it local. We’re making lives better but we can’t do it without YOU! Whether it’s your time, a donation or new partnership, learn the many ways you can show your support and be a part of this awesome team. IT’S THAT TIME OF THE YEAR AGAIN! 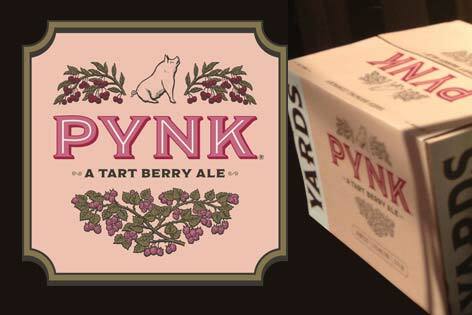 YARDS PYNK IS HERE! July through October you can purchase this savory, tart ale and a portion of your purchase will be donated to the Tyanna Foundation. We are so fortunate and thankful to have Yard’s Brewery’s continued support of the Tyanna Foundation. Yards has proudly donated a portion of PYNK sales to the Tyanna Foundation to help increase awareness and improve the lives of breast cancer patients since 2013. So DRINK PYNK and help change lives! The Tyanna Foundation honors a mother’s life, love, and living legacy. Tyanna Barre O’Brien lost her battle with breast cancer in 1990 at the tender age of 48. Her legacy continues today through the work of her daughters Anne, Bridget, Megan, Sara & Kate O’Brien, the founders of BreastFest. It is our commitment to awareness and prevention that inspires and leads the work of the Tyanna Foundation. Since it’s inception in 1999 in Athens, GA., the Tyanna Foundation has worked tirelessly increasing awareness and generating money for breast cancer research, services, education, treatment and patient care for local breast cancer patients and survivors. We are expanding our reach, and have raised over $1,000,000 to help local organizations in Southern New Jersey, Baltimore, Maryland, and Philadelphia, Pennsylvania to treat and care for breast cancer patients. All of the funds raised in each city benefit a local breast center or breast health organization.